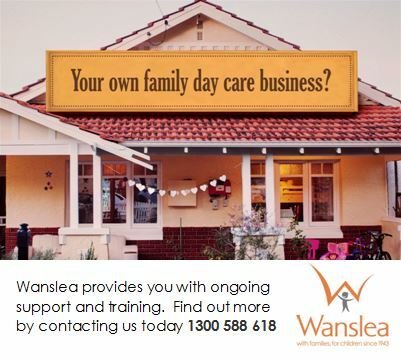 You may have seen the Swan Canning Riverpark while driving north down the Kwinana freeway and always thought to take the kids there, it is a bit hard to work out how to get there, but that is what we are here for. Below are the directions on how to find the bridge that you need to walk over to access this amazing little play area! Or to add a bit more of a walk you can access the bridge further north from Comer St, at the Comer Reserve. You can also turn down Comer St, from Labouchere Rd. 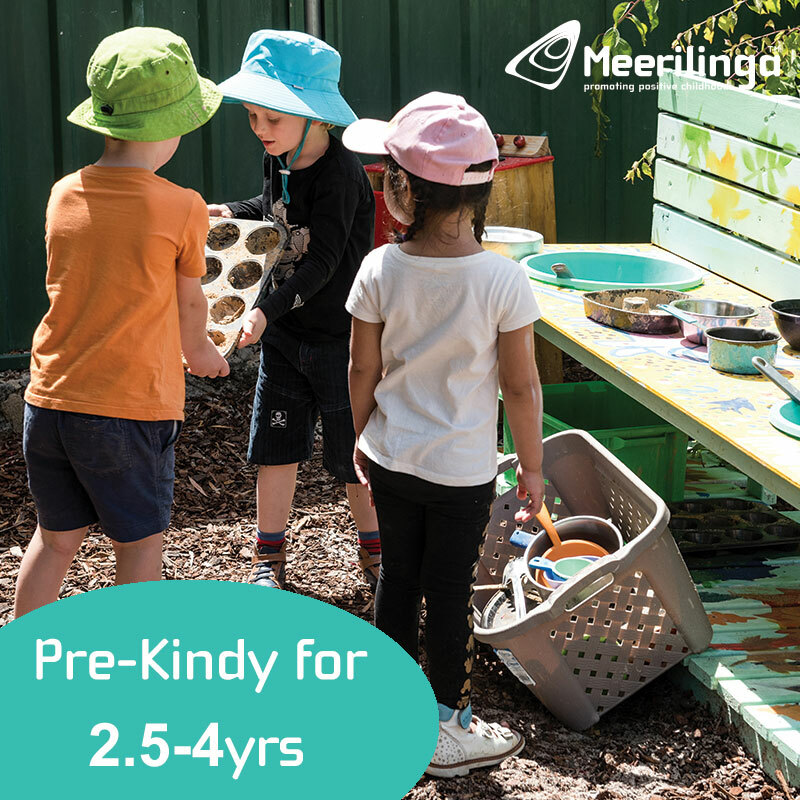 If you access the bridge further north, its just an extra 5 min walk along the scenic walkway along the river to get to the Swan Canning Riverpark. 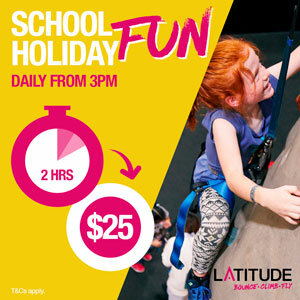 It's a great little ride to do on your bike or scooter! 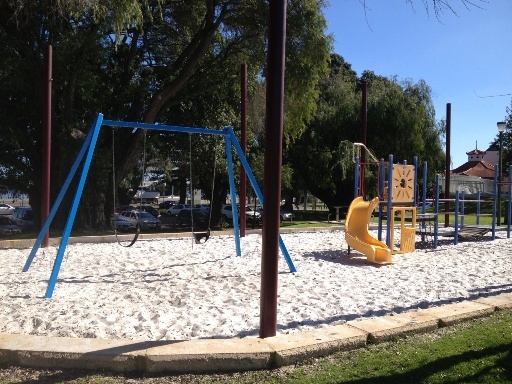 There is also a great little playground and large grassed area with bbq's at the Comer St, Reserve so it's a great place to have a bbq lunch after exploring the Swan Canning Riverpark! 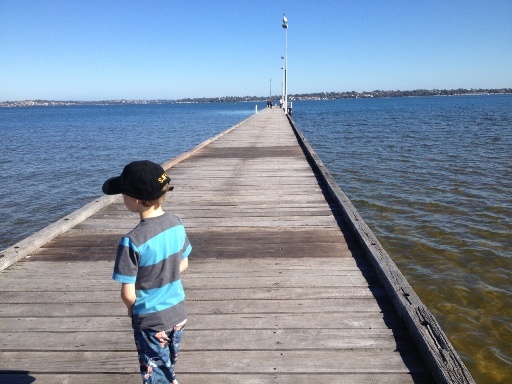 Once you have made your way over the bridge you can head straightout onto the jetty, the kids loved walking all the way down and seeing the fish.The water is quite shallow until right at the end so you can see all the jelly fish and fish in the water. They also loved the pelican sitting on the light, which you are also bound to see on your visit. 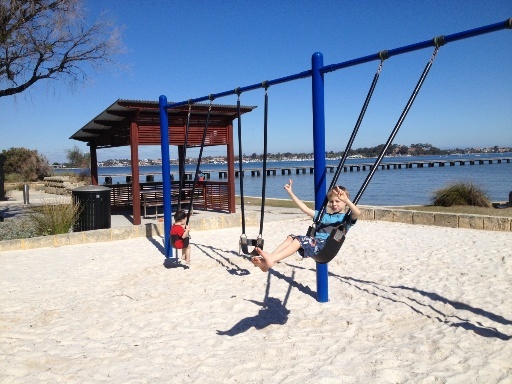 Right near the jetty is a little play area with toilets, 4 swings (two toddler swings) and a beautiful shaded table and seating area. 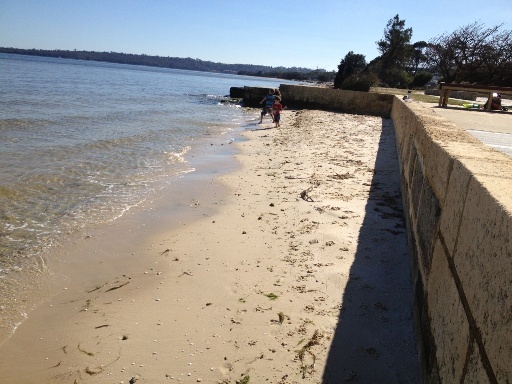 There is also a great little area along the shore where the kids can have a splash, so make sure you take spare clothes! There are also showers in the toilets. 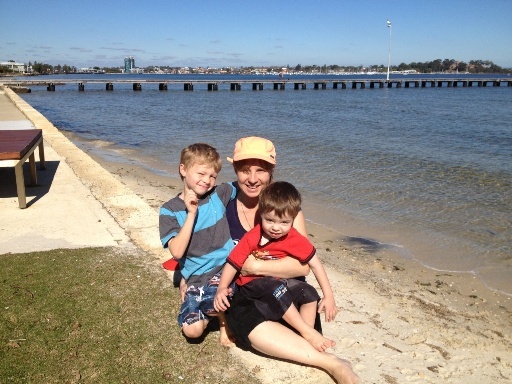 We visited the Swan Canning Riverpark as part of my Get Active August daily challenge. The walk across the bridge and jetty was beautiful and then I enjoyed a light jog on the shore while the kids splashed around. 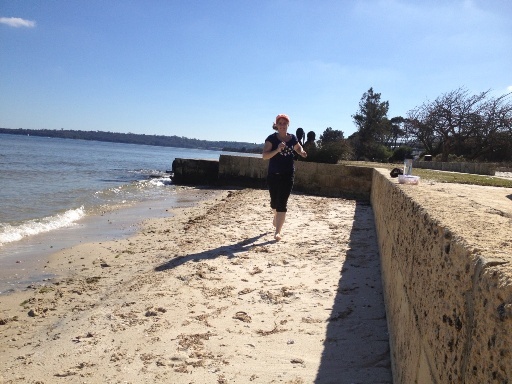 This is great little place to a bit of exercise on the shore as there is a small little sandy cove that is surrounded by a fairly high wall so the kids can't really go anywhere. 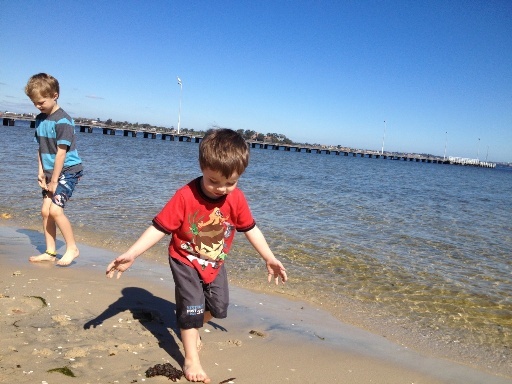 The water is shallow and there are lots of little rocks and shells on the shore for them to explore. 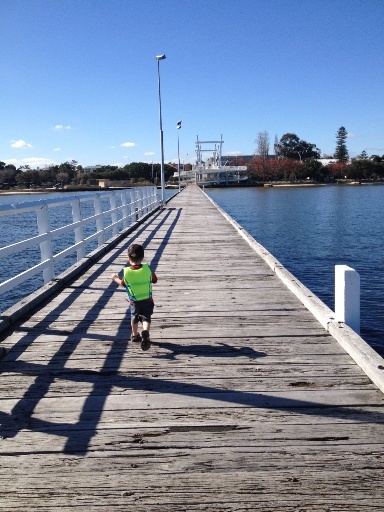 The Swan Canning Riverpark is a great place for kids to run around and explore the river. Take a packed lunch and spend the day away here. 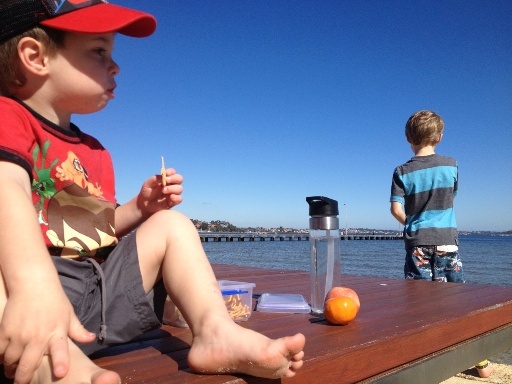 You could also fish of the jetty, ride along the river (this was a popular stop for lots of cyclists). 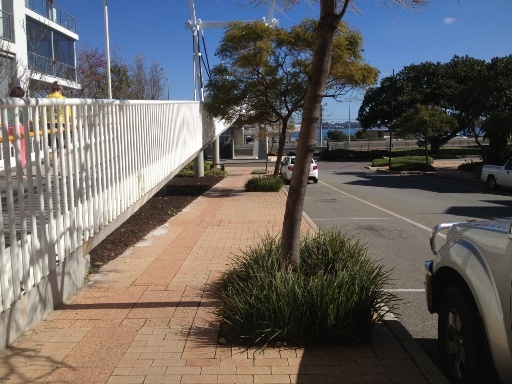 There is a bike rack there, so if you have young kids you could park at the Mill Point Rd carpark (where they launch the jet boats and jet skis) and take a short ride to the Swan Canning Riverpark, have a play and an explore and head back again. 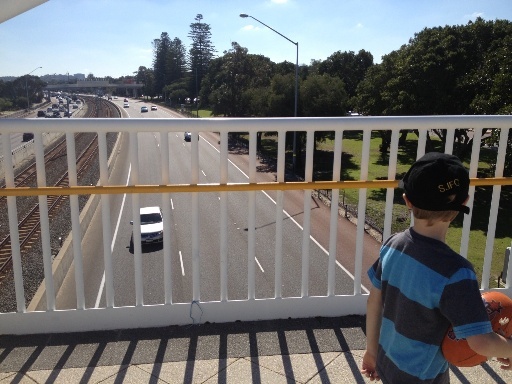 Or even just riding your bike across the bridge is lots of fun! There is ramp access to and from the bridge. Only downside of this place is the noise from the freeway, but the beautiful scenery helps you forget that the freeway is even there! 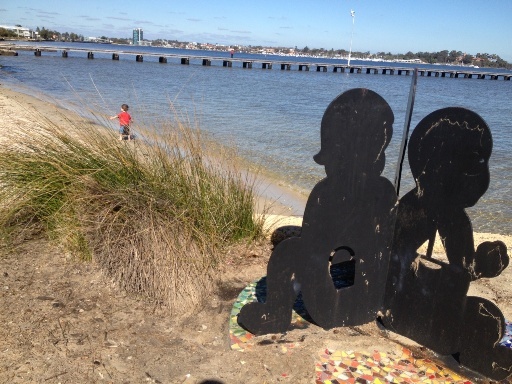 Safety Considerations: closely supervise young children on the jetty, there is a risk of a fall into the water. 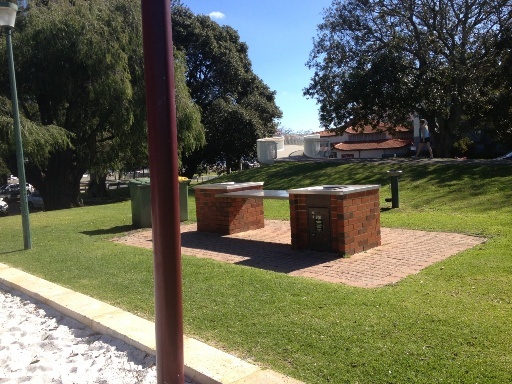 Want information and a map to take you to Swan Canning Riverpark while you are on the go?! 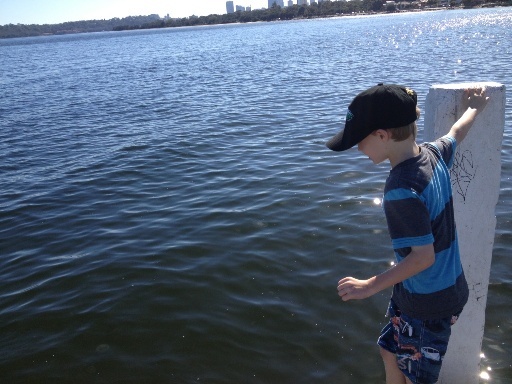 Then get the Kids Around Perth App today and find it under Water Play / Swan River.